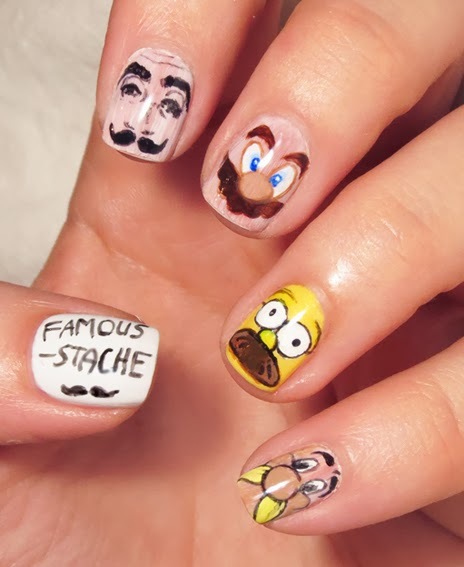 The amazing manicure of my friend Ashley (is Polish Addicted). 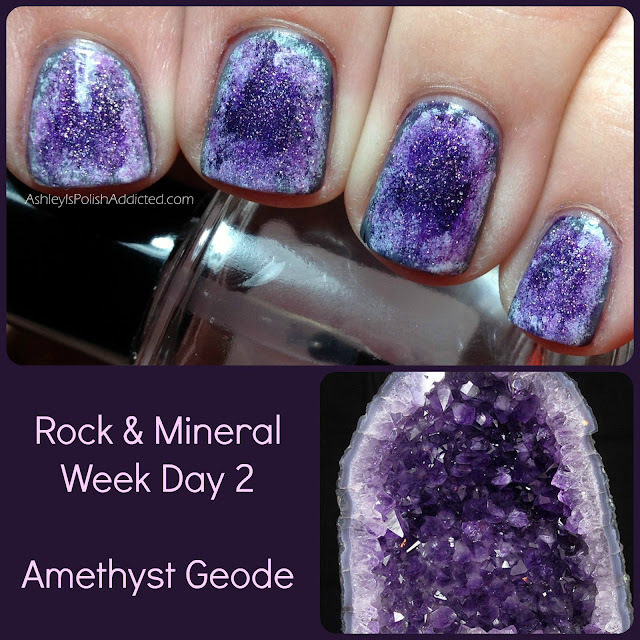 I LOVE amethyst ♥ It's my fave mineral gemstone!! 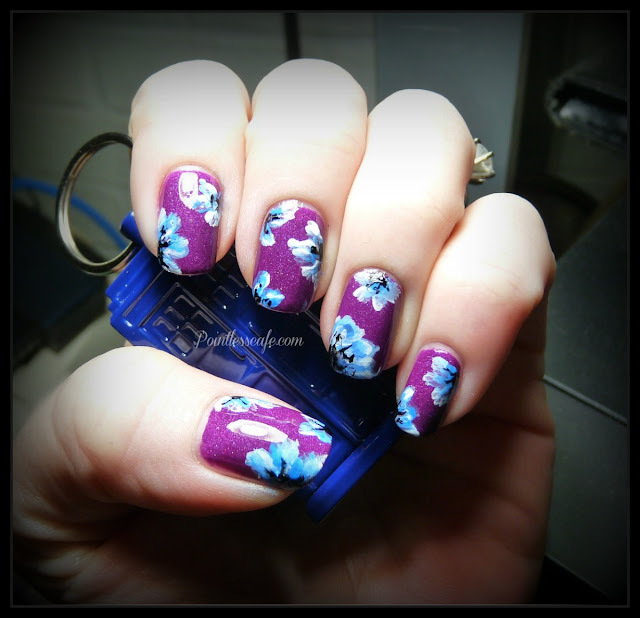 The cute mani of Aurore @Skulls & Polish! The beautiful flower nail art of my friend Sheila @Pointless Cafe! Love this color combo of grey and neon yellow by Coco's nails! The fall mix and match of Carole @Chasing Shadows. The mix and match of Mary Monkett. The mani of Lucie @Nailucie! 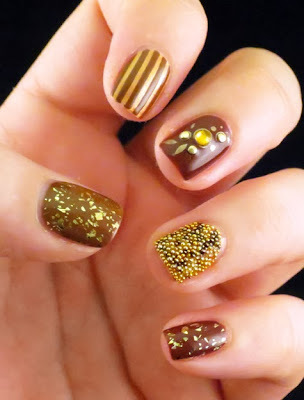 The pretty baroque manicure by Ongles Addict. The Nailstorming mani of Chasing Shadows (again). 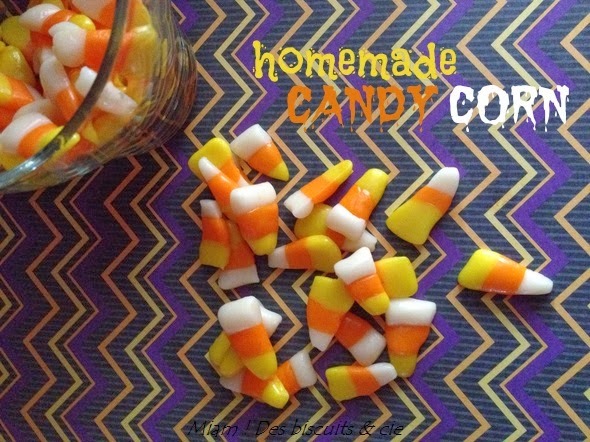 The Candy Corn recipe of Miam ! Des Biscuits & Cie.
You probably don't know this but I'm a Candy Corn addict, haha. 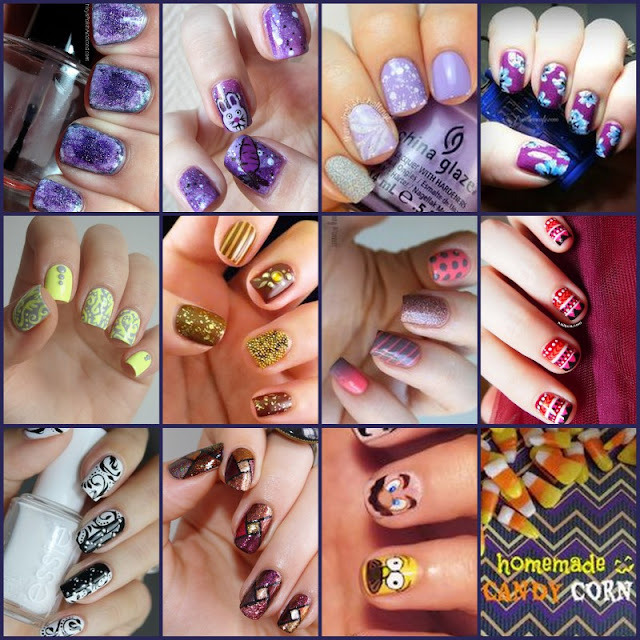 It's all because of (well thanks to :P) my lovely friend Jamie, the maker of Sea Lore nail polishes, cause she sent me my very first candy corns with an order in October 2012 (see post here, pumpkin ♥).